The first thing I did after crashing my motorcycle into the ditch was get out the camera. What had happened and how it was about to effect our plans hadn’t set in yet. 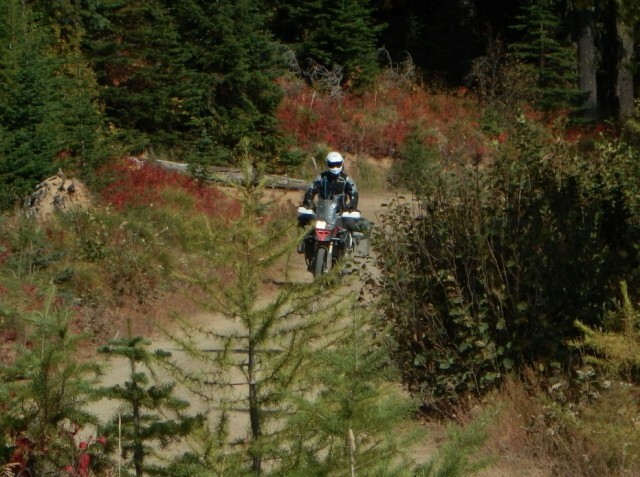 The G650GS lay cratered on its side in the dirt and rocks. 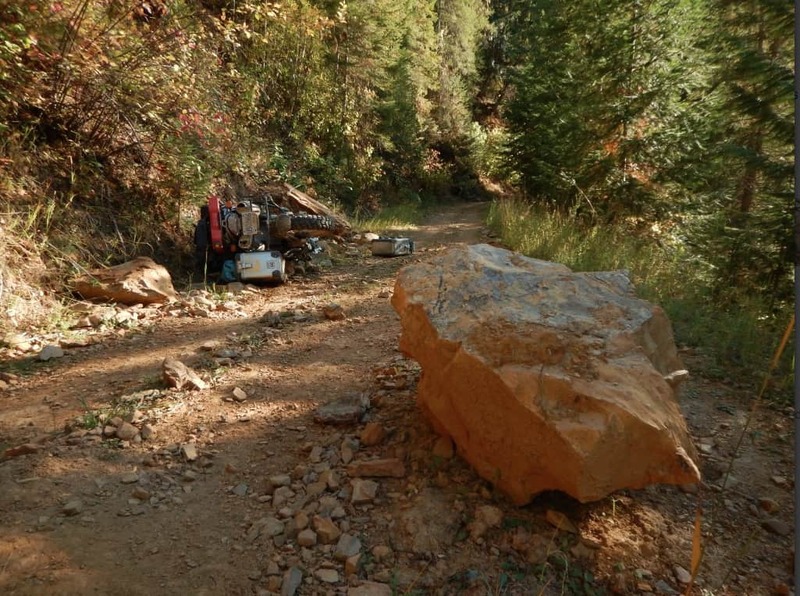 I’d tagged a boulder on the trail with my hardcase pannier and lost control of the bike. It was a fantastic scene especially with the offending pannier at rest up the road after its tomahawking dismount off the frame. Nothing hurt until I zipped my camera back into my tank bag. My wrist was broken. The throttle hand. To top the day off it was my birthday. 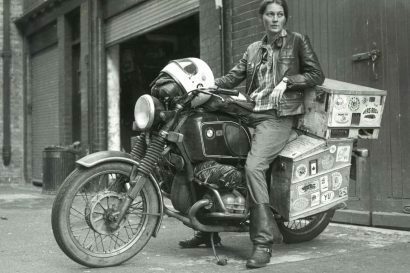 The most significant question a man has ever asked me wasn’t, “Will you marry me” it was, “Will you travel around the world with me on a motorcycle.” And as though I’d anticipated the question all my life the word ‘yes’ escaped me before my boyfriend Dave had finished asking. Yes. 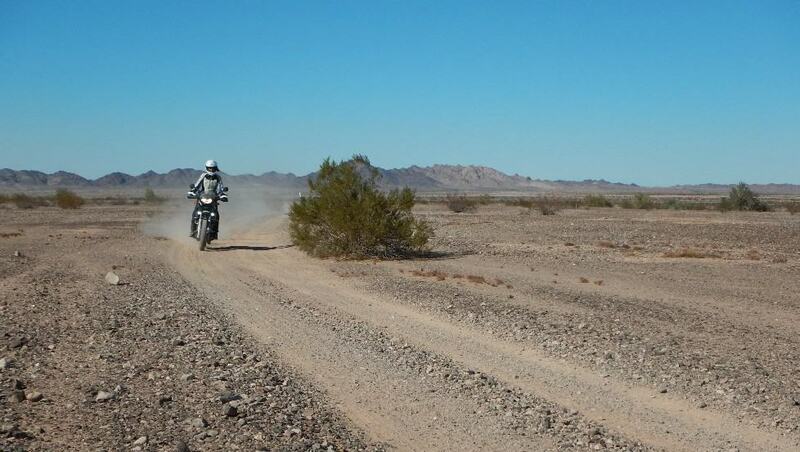 Solid and final, I married myself that instant to the road of travel for whatever adventure awaited. Dave and I discussed a date we felt was realistic to leave and then moved it up a year. 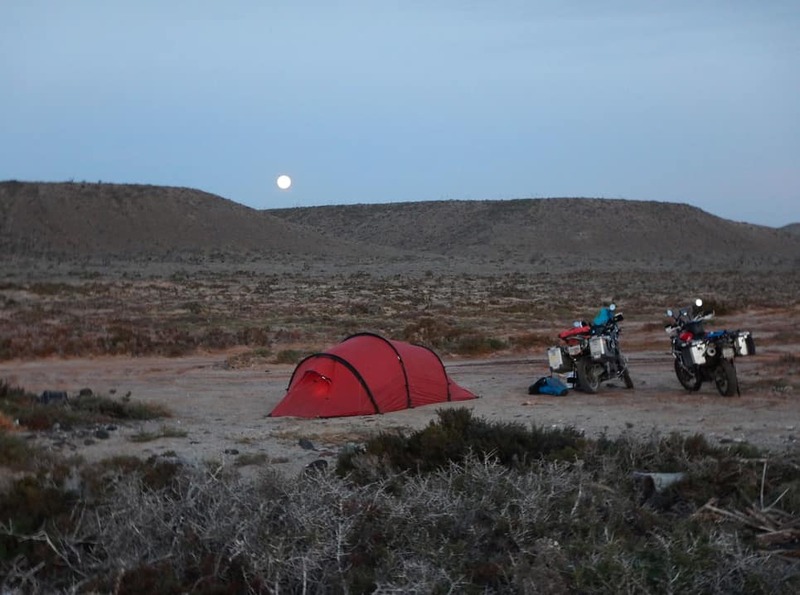 We spent small fortunes on riding gear, bike modifications and travel supplies. We allotted hours to pour over websites about medical insurance and travel vaccinations. We built a website, got business cards made, started a YouTube channel, learned how to use video cameras and began approaching gear sponsors. We did this while juggling and organizing our daily lives: jobs, selling Dave’s house and my business. Packing things into storage, taking care of expired passports, obtaining international driver licenses and figuring which bank gave the best rates for foreign credit cards. When our departure date crept so close we couldn’t sleep at night, we jammed non-trip belongings into the spare room in Dave’s dad’s house now officially homeless. It’s not enough to say that when Dave and I began planning our two-year trip around the world via motorcycle, we ‘prepared’ ourselves. We changed our lives. When Sept. 15, 2015 rolled around, we were barely ready or perhaps not even ready at all but we loaded our bikes on the front lawn of my parents’ home in Revelstoke, B.C., our starting point, stuffing last minute items into every crevice we could find in our panniers or drybags. It was too much stuff yet not enough stuff. We had a bon voyage party that night with friends and family. The next morning we rode away. My parents filmed us with happy tears in their eyes. I tried to swallow around the lump in my throat. What would it feel like not to hug my snuggly mom, see the twinkle in my dad’s eyes or share in person with my sister our sense of humour for two whole years? 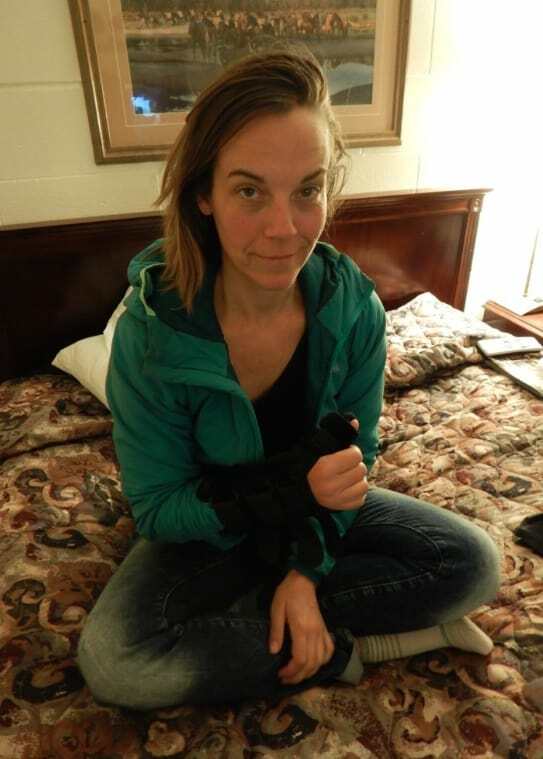 Two weeks after we rode away from town we drove back in, this time in a car with newfound friends and my wrist in a splint. The three-month healing time felt like a prison sentence after we had been set free on our trip. We saw our parents again along with friends we’d hugged goodbye at our party a mere 14 days earlier. The effect of my broken wrist was like a stick thrown into the spokes of our wheels. All that prep work and we’d come to a complete halt at the height of our enthusiasm. It was hard to return to Revelstoke where people knew us. 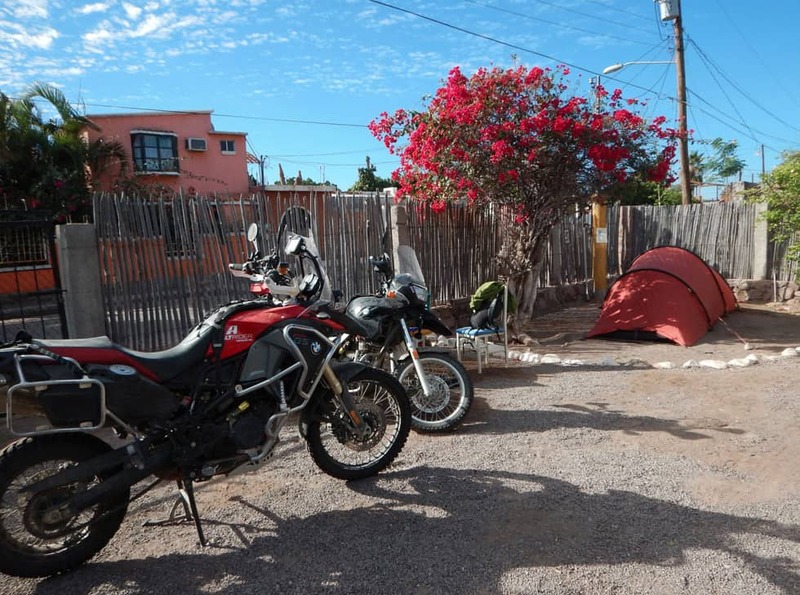 We’d made every effort to prepare ourselves for our trip by selling nearly everything we owned so we could buy the very best motorcycles and gear for such a journey. But we forgot one vital thing. 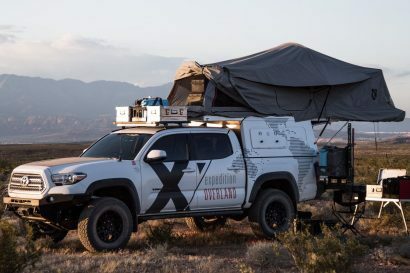 There’re plenty of books, videos and advice out there to help prepare you physically and equipment-wise for your next adventure. But there is very little if anything to prepare you mentally when things don’t go your way. And they won’t. No matter how you think things are going to go, it’ll be vastly different. But that’s not a bad thing and in this case the mishap didn’t mean the end of our adventure. In fact it has helped to define the very word adventure. I wrote this from Mexico on Jan. 21, 2016. We had been back on the road for over a month, excited for Round Two; for the challenges and the highs and lows of knowing we are not in control of what comes next. We can only ride on. 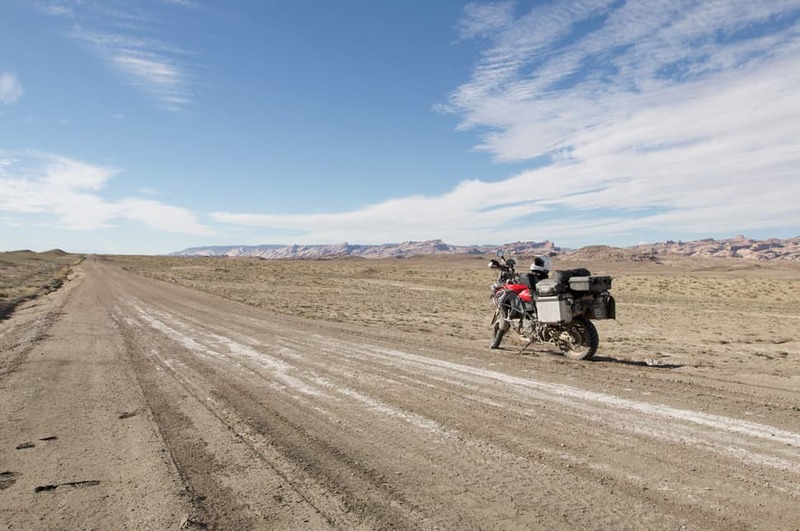 Heather Lea and Dave Sears plan to take two years to ride their motorcycles around the world on as many un-paved roads as possible. Subscribe to their adventure at ridingfullcircle.com. 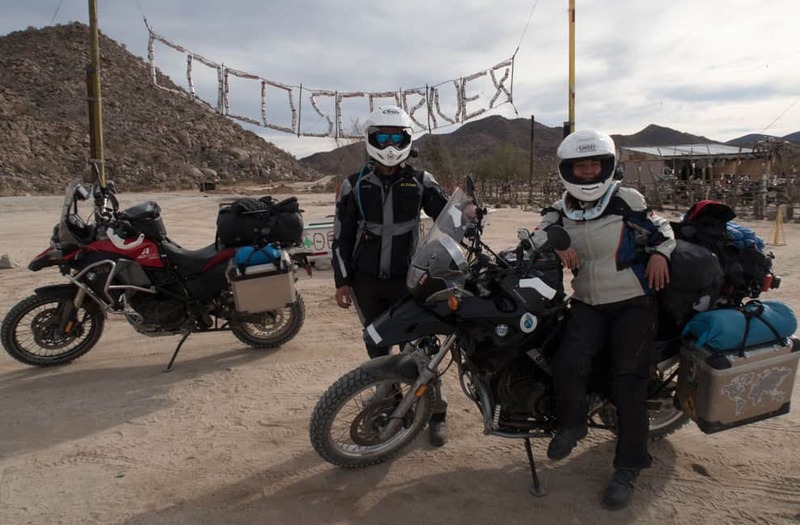 Heather Lea rides an F800GS BMW and is currently planning the second half of a two-year round-the-world motorcycle adventure with her boyfriend, Dave Sears. Heather been writing stories of travel and outdoor pursuits for over twenty years and has been published in various magazines such as Canadian Geographic, Climbing Magazine, Mountain Life, Kootenay Mountain Culture and the Canadian Alpine Journal. For ten years, Heather ran an arts, culture and lifestyle magazine she founded in 2005 and sold just before leaving for her trip in 2015. 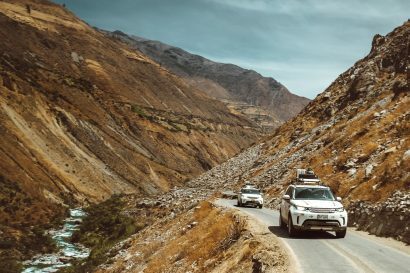 Heather hopes to reach 50 countries by age 50. Currently she has travelled to 31 countries (32 if you count Alaska separate) and is somewhere between 29 and 42 years old.